So what’s the holdup with this dude? Well, since he signed the buyers agreement, he actually still has to buy the house. The fact that the bank won’t help him with it is something he should have checked earlier when he could still back out of the deal. He claims it’s just an administrative technicality with the Dutch credit agency and he reckons he can smooth it out, but either way, it’s a set back for me and Emma. And it will be a set back for him because he’s at least losing the deposit if he doesn’t come through with the money. Fingers crossed it is indeed a small hurdle and everything will be resolved shortly. The question arises: “Why does this have to happen to me?”, but I realise you shouldn’t take these things personally like that. I just wish I could finally get rid of all the financial ties in Europe. On a positive note, I’m tuberculosis free! I had to get my health checks and police checks done. Police checks, for obvious reasons, go through the Netherlands, but thankfully the health examinations could be done right here in Perth. For my type of visa, prospective spouse (subclass 300), I had to get an X-ray to check for TB, blood test to check for HIV and a general health examination. It’s been more than 5 business days by now so that means I’m HIV free to, come to think of it. Although that was to be expected since I got myself tested about a year ago anyway. Now the next information is absolutely not a certainty. Emma read it in another blog, and there is nothing to prove that this is right, but when you think about it, it does make sense. Allegedly, when they ask you for your health and police checks, that is an indication that they’ve actually already decided you’re okay to come in, provided obviously you’re not a naughty boy or sick as a dog. Now like I said, it may just be wishful thinking, but it makes sense, because they wouldn’t be interested in my health if they’re not going to let me in to begin with, are they? So, boldly/foolishly building on that assumption, it looks like my visa might actually be approved quicker than I at first believed, which means I won’t have to bide my time in Europe for too long. I’m keeping a list of stuff I can do when in France, to keep me from getting bored. At least me and the guys got a week-long photography trip planned to Switzerland, and I’m sure there will be enough spontaneous trips across the Netherlands too! Again, it’s a shame the house didn’t get sold earlier, because then I could have bought some new lenses and a full frame body, but c’est la vie. Besides, Nikon might be releasing some new bodies this year anyway, so maybe it would be smarter to hold out a while. New camera or not, it will definitely be a shock to be dropped back into the cold European winter. I should start thinking about what to pack soon, my flight is leaving next Wednesday early arvo. But apart from some sweaters and a pair of jeans all my other clothes (besides the essentials obvs) are not exactly tailored for freezing conditions. So I might want to hit the shops when arriving back and buy some warm stuff for the time being. I do have my snowboots in France, and I think I stowed away some thermal underwear in the pied a terre somewhere with a thick winter coat. I’m not really not looking forward to flying back though. Don’t get me wrong, I’m really looking forward seeing my friends and family, but the long haul intercontinental flights are starting to annoy me. Not because KLM isn’t doing it’s best, absolutely not. It’s just the frequency of flights these past months. And of course the fact that I’m just starting to get settled here. 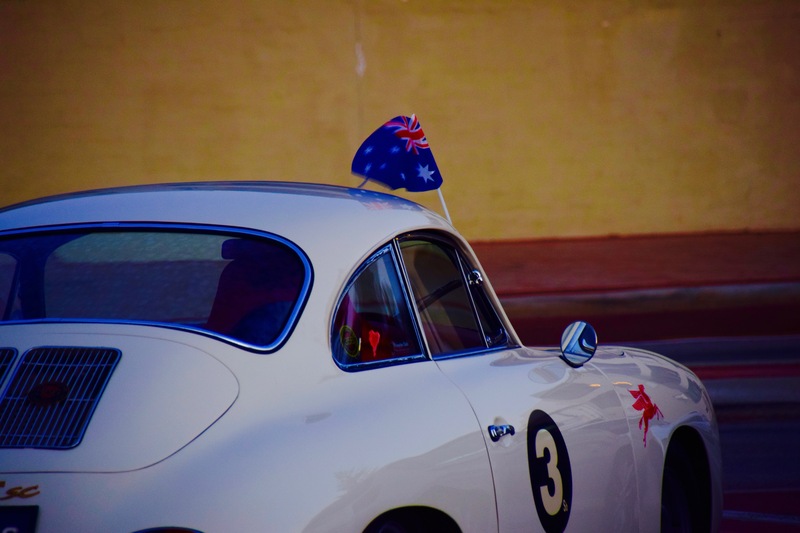 At least I got to experience my first Australia Day! I’ll just briefly acknowledge the discussion going on at the moment about whether or not it should be held on the 26th of January or not, but will refrain from speaking my mind about it further. To give the Dutch people an idea of what’s going on, think Zwarte Piet. Anyway, we had a relaxing swim in the pool at Emma’s Mum’s house, and then went scouting around for a good spot to take pictures of the Perth Skyshow fireworks. We didn’t feel like fighting for a spot at Kings Park or the Foreshore, traditional places for Perthites to watch the show. We found an interesting spot and went home to clean my lenses and just hang out for a bit until the sun would start setting. Sadly, just as we were reading ourselves to leave the house, tragedy struck the Skyshow when a light aircraft crashed into the Swan River, killing the two people on board. Understandably the fireworks were instantly cancelled. Since we had everything packed to go out and enjoy the evening, we decided to check out Cottesloe Beach, maybe taking some sunset shots with the kite-surfers. While enjoying the beautiful sunset, Emma had the bright idea to check if Fremantle was doing something for Australia Day. We initially thought they wouldn’t because the aforementioned discussion. Thankfully they business owners of Freo took it upon themselves to organise a fireworks show so we hastened ourselves to a beach just south of the Fishing Boat Harbour, arriving in time to set up the camera and take pictures of the entire show! Sitting in the darkness, in the dunes, taking pictures of beautiful fireworks, took me back to the dunes near The Hague, and the night Rogier and I got spotted by a police helicopter in a restricted area, trying to get the perfect perspective of the International Fireworks show at The Hague Beach (or Scheveningen, yet another discussion). Taking a beautiful picture, and sharing it, is a nice feeling, but it feels better when you’re mates get to take their own.